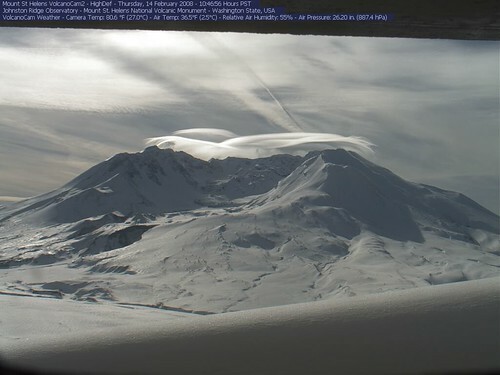 Image captured earlier today from the high definition Mount St. Helens VolcanoCam. Incredible! Is that moonlight or sunlight? I guess it's the sun but it looks like moonlight to me.